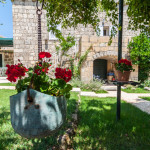 Villa Lucia is a two hundred year old family home situated in the village of Popovici, in the area known as Konalve, often likened to Provence. 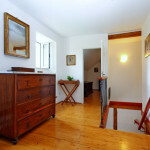 The current owners are descendants of the original owners who had built the house at the beginning of the 19th century. 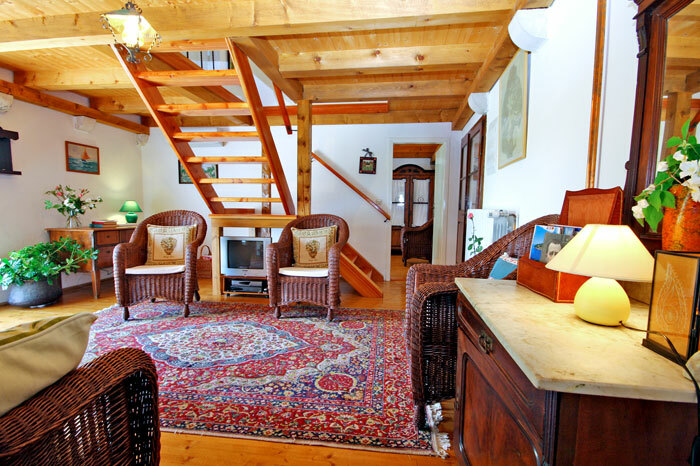 While the property was being renovated in 2005, every effort was made to preserve the original spirit and feel of the house! 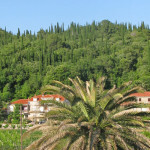 This is a gorgeous area of tall cypress trees and wonderful old villages, beautiful scenery, stunning beaches and lots of activities! 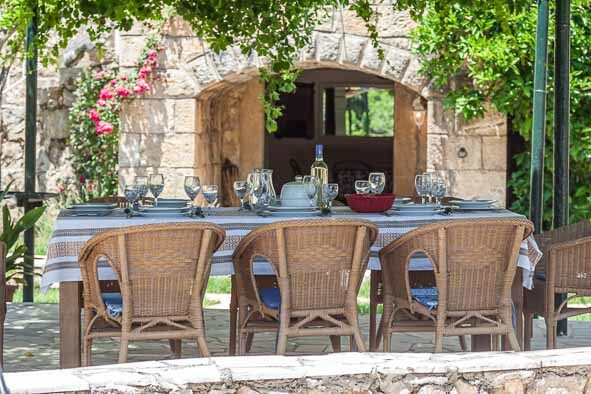 There are wonderful quintessential fishing villages and pretty coves, beautiful views of the sea, walks through ancient vineyards and olive groves and activities such as horse riding, folk events, sightseeing etc are available in the surrounding country side. 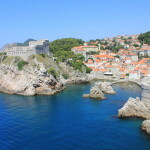 You don’t need to leave the village but if you do fancy getting out and about to explore the Dubrovnik Riviera, then everything is within easy reach. 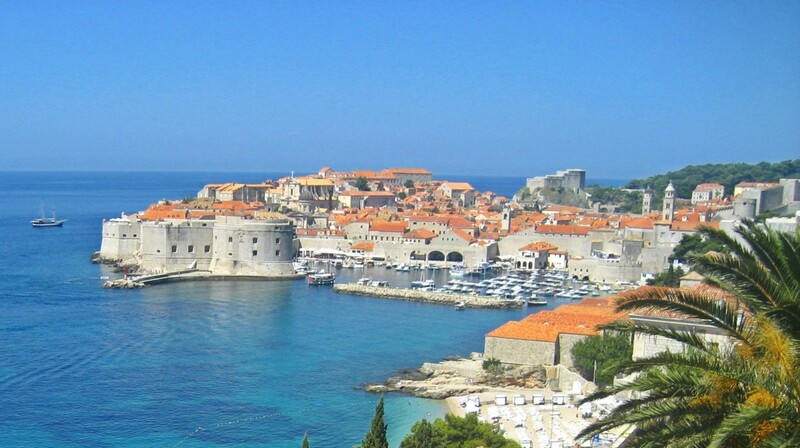 Cavtat, a charming sea edge old town with a delightful selection of restaurants and cafe bars is 15 min drive away and of course, the ‘must-see’ Old Town of Dubrovnik is only a 30 min drive away. 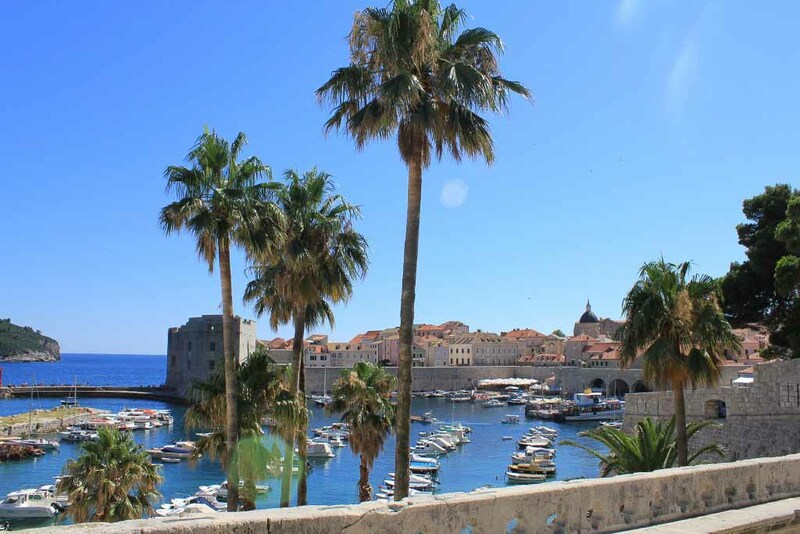 You could even water taxi in from Cavtat right into Dubrovnik Old Town’s harbour! 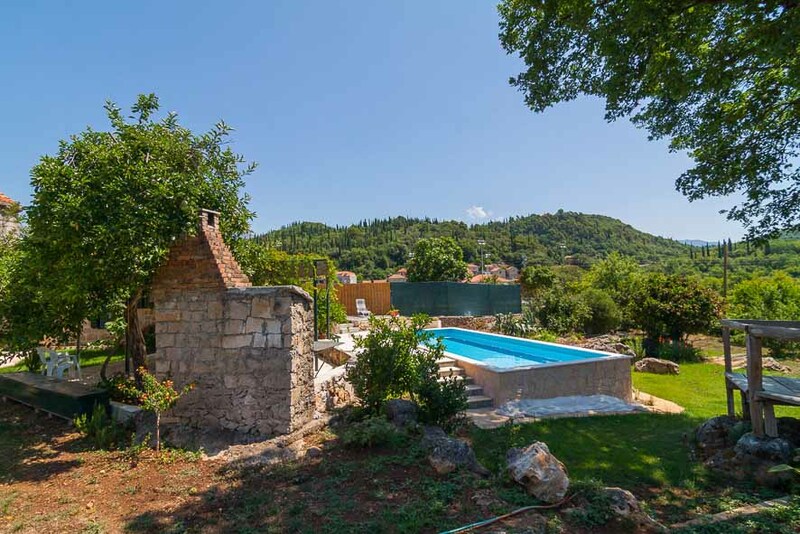 The house is situated in the village Popovici, in the area know as Konavle, with a fantastic beach close by and there is even a horse riding ranch in the village to get out and explore the surrounding country-side. Or if you are more inclined to have some fast paced action, then there ATV buggies too. And to keep the youngsters amused and have some family fun at the new Activity Park near Gruda offering bike rides, Zip Lines, Archery, Giant Swing, Paintball, Slingshot and such like. Plus the villa is literally yards from the approach road to the famous Pasjaca Beach, the descent to which is a bit of a challenge, but well worth the effort. The house is set in the north eastern corner of very spacious grounds spreading over several different levels in front of and to the west of the buildings. 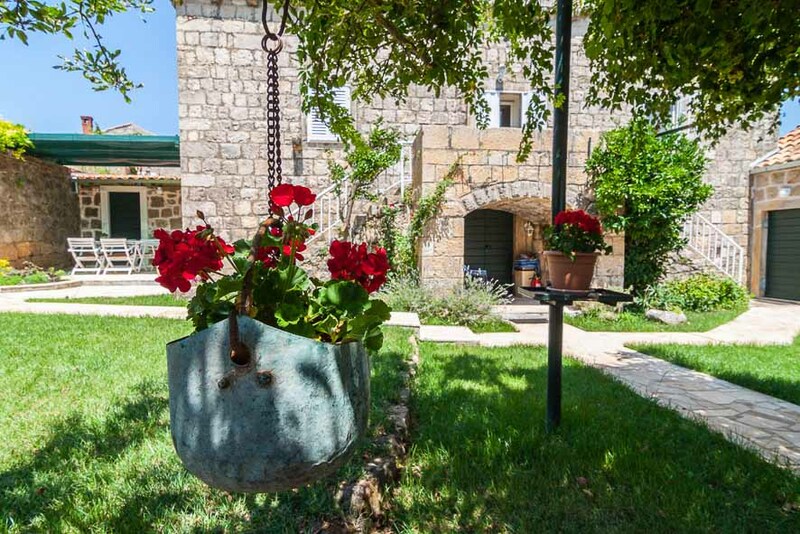 The property is approached from a country road through a gated entrance, from which a pathway leads to the entrance into the inner partially walled garden. The garden is additionally sheltered from outside view by a side building (currently not in use), and much greenery, thus the house occupants can enjoy complete privacy in very peaceful surroundings. New for this year the ground floor of the main house has now been turned into a Summer Kitchen. It is a large open space accessed from the garden in which there is a fully fitted kitchen (cooker, microwave, fridge/freezer, dish-washer) and a comfortable dining area especially useful for the occasional grey or rainy day. It is a space which remains pleasantly cool when it is scorching hot outside. 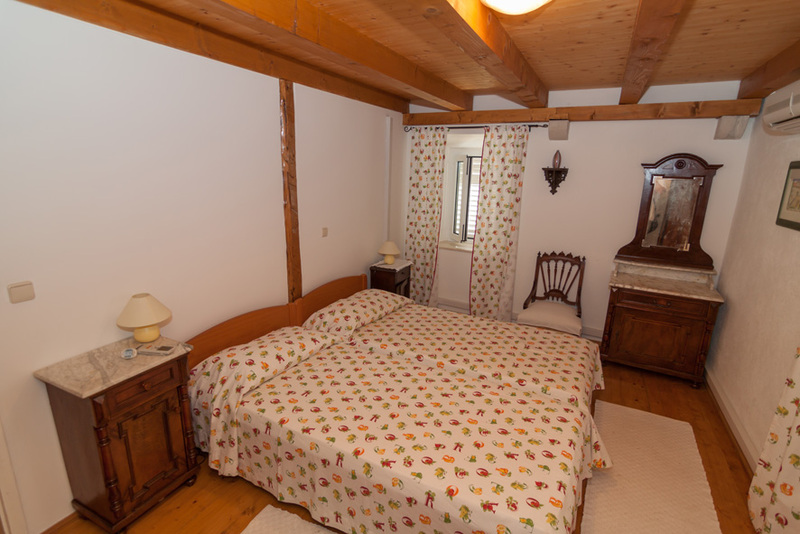 It also houses the maid’s room, WC and Laundry facilities. Attached to the main house is the Guest Annex. 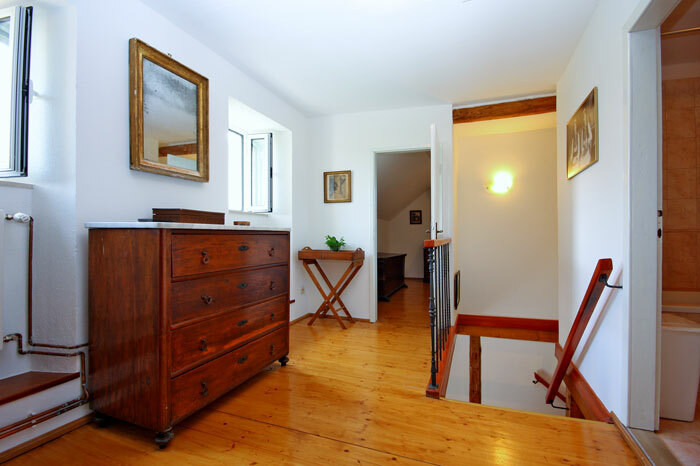 This is an attractive open-plan, split-level space with a high ceiling and plenty of light. The upper level area with its bathroom and walk-in closet represents sleeping quarters while the lower level functions as a living room. The ottoman on the lower level is usable as an extra bed. 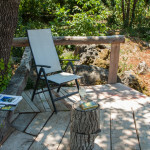 When it is not used for sleeping, The Guest House offers a tranquil corner for anyone wanting to read or write or to have a peaceful conversation. 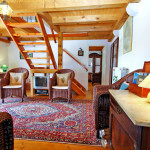 The living quarters start on the first floor level of the main building which is reached by two stone staircases climbing up from the garden and meeting together in a small terrace in front of the house entrance. The terrace is bordered by a stone seating, thus turning this space into a cozy outdoor lounge. 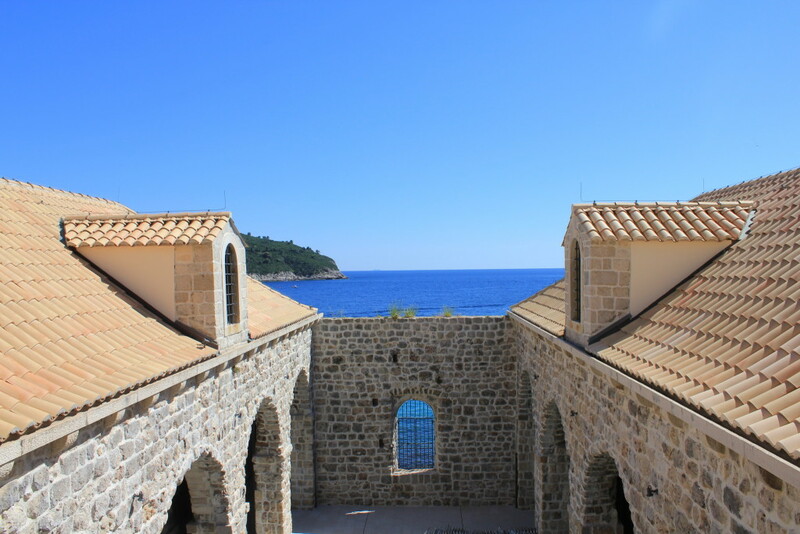 The villa was completely rebuilt seven years ago. It now sleeps 6 persons in three-bedrooms. 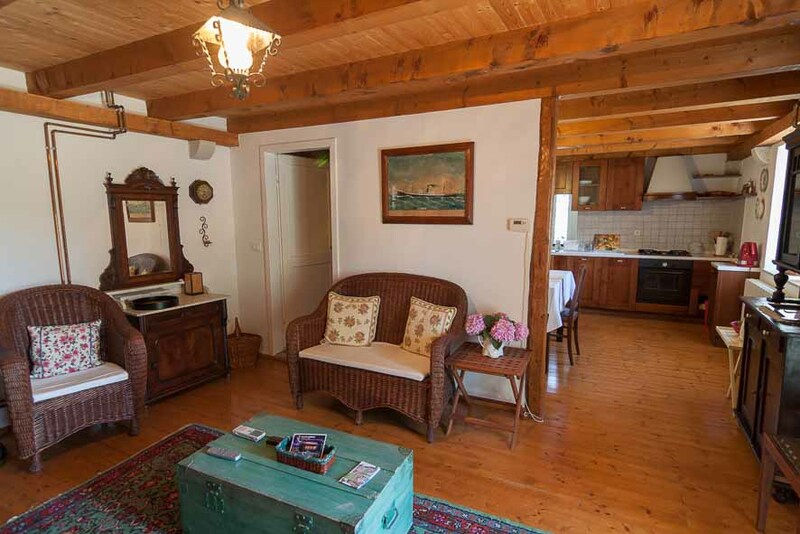 It is decorated in traditional style, with much use of its original antique furniture, with the exception of the kitchen and the bathrooms, which are appointed to high quality modern standards. 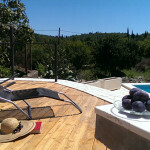 The outdoors space has several additions, first and foremost – the pool. 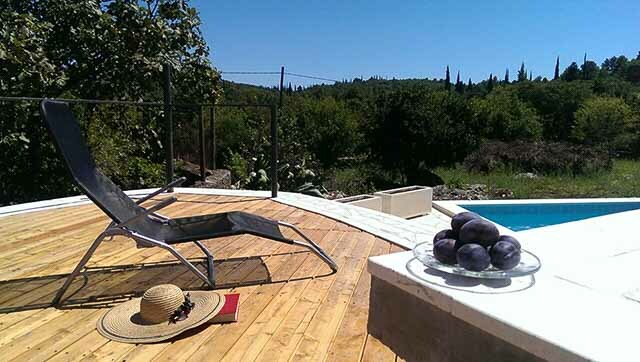 A couple of steps lead from the poolside terrace up to the sun deck which offers extra space for sun bathing. A couple of steps down from the poolside terrace lead to the lower garden level and to a semi-circular wooden platform, which offers a peaceful corner in which to rest or read. 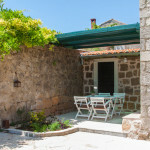 Away from the pool area, under a creeper covered pergola, another stone-paved terrace is situated between the tall garden wall and the main house. It offers the earliest shady spot in the garden. 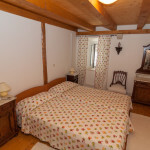 All bedrooms and the living room are air conditioned. Beach/Sea: Pasjaca beach is just 15 mins walk or 5 mins drive mixture of sand and pebbles and there is very nice local rocky beach Luka cca 3.2 km away Prevlaka beach is nice too near Moulenat and 6km to the south is a pebble beach at Molunat . 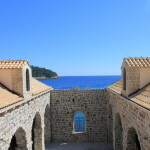 Gorgeous Cavtat is 10 km away too – lovely swimming spots! 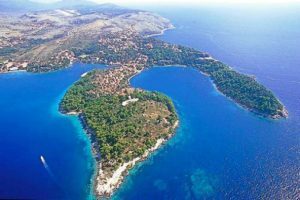 Cavtat has gorgeous places to swim, water sports, diving, boat trips to islands etc is a short drive. 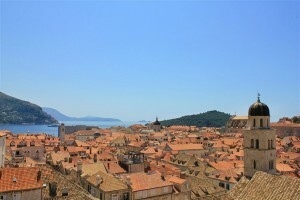 Of course Dubrovnik old town which is a must see is only around 40 minutes. 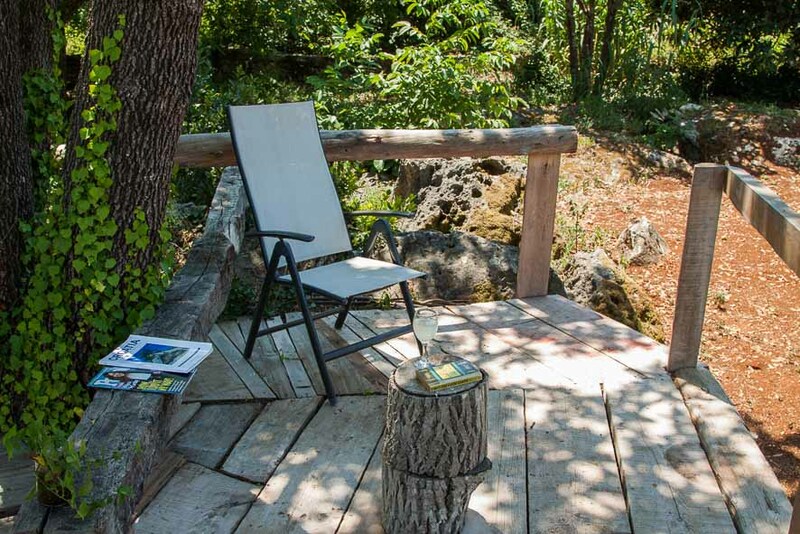 a wonderful riverside traditional restaurant is 7km away called “Vinica Monkovic”- definitely worth a visit! Konavoski Dvori also a superb riverside traditional restaurant, is just next to it so you are spoilt for choice! 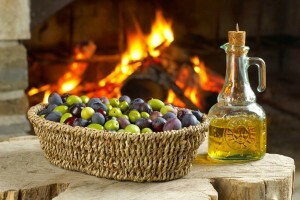 Other activities: Horse riding in the village, ATV Buggies Safari - both 5 mins away . 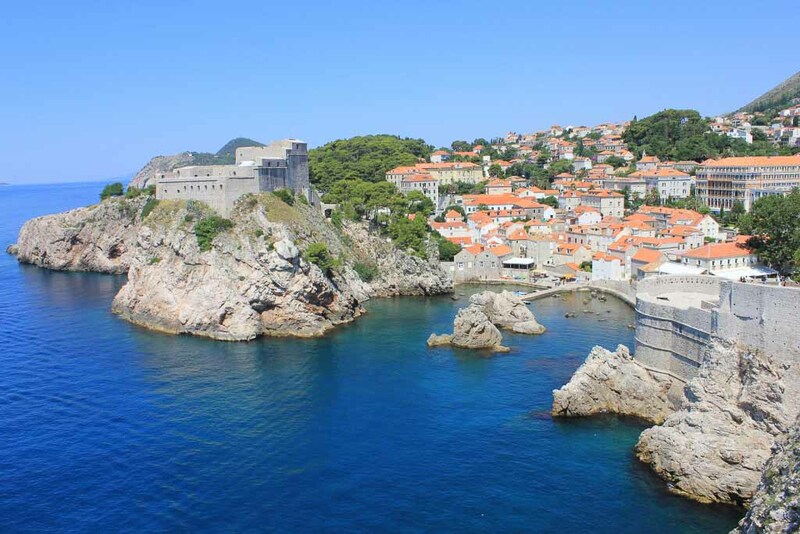 Hiking at Prevlaka Park, Montenegro and Bosnia borders both a short drive. 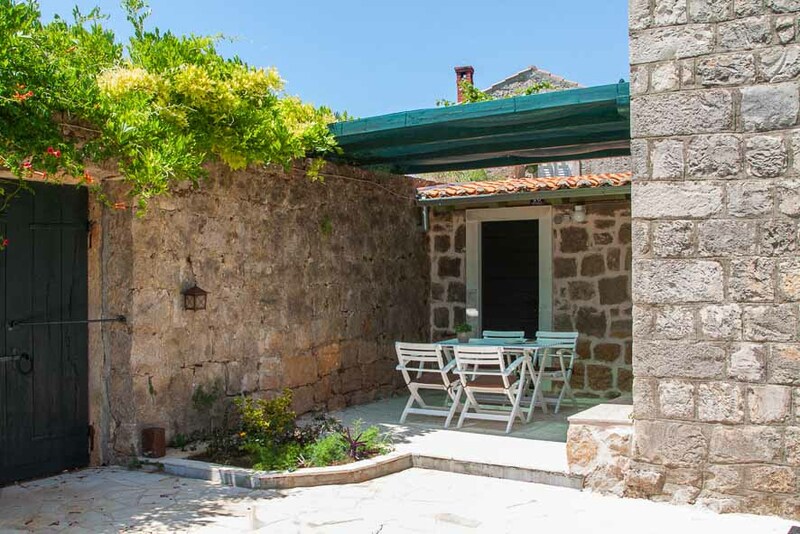 Car Recommended: Although the house is conveniently located in the middle of the village, barely 200 m from a bus stop for the Dubrovnik and Cavtat bus lines, we’d recommend having a car to get out and about and explore! We had a wonderful time & Ana was very helpful. She coordinated an island hopping tour, as well as a private chef for our last night. 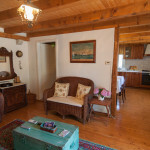 The house was perfect - close to the airport and ideal for day trips. The kids enjoyed the pool, too!